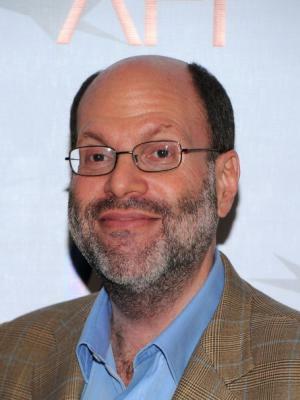 Scott Rudin was born on the 14th July 1958, in Baldwin, Nassau County, New York State USA, and is a film and theatrical producer, probably best recognized for winning all of the four major entertainment awards – Grammy, Emmy, Oscar and Tony Award. He has produced such film titles as “No Country For Old Men” (2007), “The Social Network” (2010), and “The Grand Budapest Hotel” (2014). His career has been active since 1978. So, have you ever wondered how rich Scott Rudin is? According to authoritative sources, it has been estimated that Scott counts his net worth at the impressive amount of $100 million, as of late 2016. This amount of money has been accumulated through his successful career in the film industry as a producer of a number of film titles. Another source is coming from his ownership of the production company Scott Rudin Productions. Scott Rudin was brought up in a Jewish family on Long Island, where he completed his education. However, when he was 18 years old he effectively eschewed college, and began pursuing his career in the entertainment world, having already gained some experience as a producer, working for Kermit Bloomgarden as an assistant to Kermit’s theatre productions. After that, he started working with Robert Whitehead and Emanuel Azenberg as a casting director, and later on founded his own company, which during the 1970s put together a cast that would feature in such productions as “Annie” (1977), then “Verna: USO Girl” (1978), and “The Scarlet Letter” (1979), among others. His net worth was well established. He then moved to LA, and got a job at the Edgar J. Scherick Associates, as a producer, and during this stint he oversaw the creation of such films as “I’m Dancing As Fast As I Can” (1981), and “He Makes Me Feel Like Dancin`” (1983), both of which added a considerable amount to his net worth. Encouraged by the success of the early films he produced, Scott started another company, Scott Rudin Productions, and made a solo debut with the film “Mrs. Soffel” in 1984, directed by Gilliam Armstrong. However, he got a chance to join 20th Century Fox, and became the studio’s executive producer. Two yearslater, Scott became president of production, at only 29 years of age, reflecting appreciation for his talent, and considerably boosting his net worth. Nevertheless, his tenure at Fox didn’t last long, as he joined Paramount Pictures, where for the next 15 years he was the producer, which increased his net worth by a large margin. Some of the films he produced include “Sabrina” (1995), “I.Q.” (1994), “In & Out” (1997), “The Thruman Show” (1998), “Sleepy Hollow” (1999), “Angela’s Ashes” (1999), “Shaft” (2000), “School Of Rock” (2003), before he left Paramount Pictures in 2004, and joined Walt Disney Pictures. Since then, Scott’s net worth has increased considerably, as he has produced some high profile films which received numerous awards, and earned millions, including for his own net worth. Some of these are “No Country for Old Men” (2007), “There Will Be Blood” (2007) “Fantastic Mr. Fox” (2009), “True Grit” (2010), “The Girl With The Dragon Tattoo” (2011), and “The Grand Budapest Hotel” (2014). Most recently he has produced films “Steve Jobs” (2015), “Zoolander 2” (2016), and “Fences” (2016). He also has several projects that are in the process of making, including “Annihilation”, “Lady Bird”, and “The Legacy Of A Whitetail Deer Hunter”, all of which are scheduled for 2017 release. His net worth is certainly rising. When it comes to speak about his personal life, Scott Rudin came out in public as gay, and his partner is publicist John Barlow. 1 [on whether his late release of Extremely Loud & Incredibly Close (2011) was an attempt to ensure Oscar candidacy] It's a movie, not a worm on a hook. 2 If you're going to spend two or three years of your life working on something, you've got to be making the kind of movie that discusses and influences the culture and is engaged in the world you're living in. 1 Is one of only 14 individuals who are an "EGOT", meaning that he has received at least one of all of the four major entertainment awards: an Emmy, a Grammy, an Oscar and a Tony. The other recipients, in chronological order, are Richard Rodgers, Barbra Streisand, Helen Hayes, Rita Moreno, Liza Minnelli, John Gielgud, Audrey Hepburn, Marvin Hamlisch, Jonathan Tunick, Mel Brooks, Mike Nichols, Whoopi Goldberg and James Earl Jones. Three of the 14 recipients, however, did receive one non-competitive award: Barbra Streisand won a Special Tony, Liza Minnelli won a Special Grammy, and James Earl Jones won a Special Oscar. 2 Ranked #3 of 50 influential people in The new York Observer's "The New Power Gays" article, June 2011. 3 Was the inspiration for Buddy Ackerman (played by Kevin Spacey) in Swimming with Sharks (1994). 4 Left Paramount Pictures to head up the Walt Disney Company's Miramax Films, after Bob Weinstein and Harvey Weinstein left to create a new independent film studio. After Sherry Lansing (retired chairman and CEO of Paramount) and Jonathan Dolgen (former president of Paramount) left, he said that: "I had a hugely emotional response to Sherry and John leaving and the heart went out of the place for me." (Source: Oscarwatch.com). .
5 The Royal Tenenbaums (2001) was originally considered by Paramount Pictures (the studio at which Rudin had a production deal with), but Paramount turned it down. Disney's Touchstone division produced it, and it became a hit. 6 Was President of 20th Century Fox in 1986. 7 Ranked #18 in Premiere's 2003 annual Power 100 List. Had ranked #26 in 2002.